Career and Skills Articles: Read or Publish Careers and Skills Articles! Read or Publish Career and Skills Articles! The Career and Skills Articles are insightful articles in this articles category on this website. The published articles are however divided between almost 26 categories on the Ezine Act's Network to help you know how to focus on your career and skills while studying in some colleges and how to focus on skills and careers articles to improve your life online. This page has two sections. The first holds general information on career and skills regarding educational purposes and the second holds information on how to publish focused career and skills articles on a website you own to improve your life. That means, you should never ever publish career and skills articles on blogs you don't own, social media, forums, or any other platform than your own website. However, you may need to use these platforms only to bring free website traffic to your career and skills articles. Building your career and skills is not a hard job to achieve if you put down good business planning with a schedule or a timetable. This job is very easy, as I am building it here on Khalid Osmans Network almost on so many pages. Here are some examples at About Me, About SBI, Develop Your Charisma, Formal Measures of Intelligence and My Journalism Experiences. People always follow their hobbies, or the most things they love to build careers and acquire skills on them. Proofs are clear that people who are forced by family or social demands to take the wrong educational bath to build different careers and skills on something they do not like, are doomed to failures. One of the valuable facts here that most people take seriously to achieve personal success is to know their mental abilities to achieve what they love to do to build careers. However, what some people love to do could be difficult for them while going through it during their education. Therefore, instructors bring their attention to change to the next thing that they love to go through. Failures are not inevitable only when you focus on one educational theme and again focus further to choose from that educational theme you educational path. That means choosing the right path to your career is always better than fluctuating between different careers and therefore the career and skills articles have insights on many different things and things that match each other and expand from some revenant terms of each career and skill. There are some educational methods to do these changes through close observation to the student and open suggestions. Some people need consultation on their educational path to avoid taking the wrong path. Some people have different kinds of skills, so taking the right path is easy for them. They again need to focus and choose one of them. They again need to stop fluctuating. To my surprise I see many students have chosen to take a break and then get back to continue their education, a bad choice, I see that results in having some of them quitting and others spending some more years to obtain a degree. The best thing, as you see through the Ezine Acts Career and Skills Articles is to be done in one shot. There is no need of break offs, as life is very short and should be ahead to a star by continuing in one shot and then relaxing later. 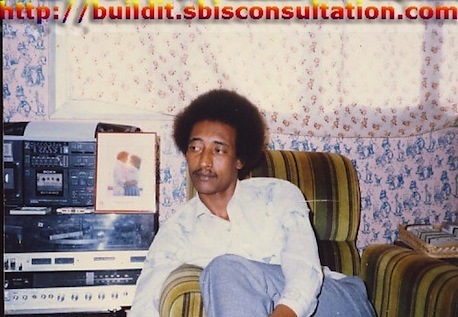 Careers and Skills Articles: Journalist Khalid Osman relaxing at the time he was working in Al-Watan Newspaper, Kuwait. Rod Stewart was singing, "I am Sailing". How to Publish Career and Skills Articles Online? The same thing goes to building careers and skills online. So, the first step to do since you have many things that interest you running in your head now and they are about the things you love to do, is to define the best of these things. Put them into simple terms, as if you are using these terms to search for them. As you see from the career and skills articles, these terms have values not only to you, but to other people who are using the search engines to look for them. The second step is to search and research those terms to acquire more information about them. The information, as you see through the career and skills articles is not just information. It is information included in rich content some resources offer the search engines to drive them. Yes, the content drives the search engines. So, this is of great value to know, while using your search terms at those engines. The third step is to collect the data you find about your terms to study it closely and see how the terms repeat themselves and how they are associated with relevant information to such terms. Through the study, you will also see the demands and supply of these terms accompanied by the money those terms have. The money is on the advertising you see at the search engines result pages. They are either at the top (center, right), or at the bottom of the pages. That means there is money in your terms and form this angle you will be sure of the income potential of your career and skills articles. It is best to take a time at the advertising to study it and see the monetizing values the terms have and thus your career and skills articles. This will outline the way you use to enrich your skill and career article with monetizing hints to generate sustainable income. You should know each of the terms has different rates of monetization and the higher the terms have the best to use in each of your career and skills articles during the article writing process. Another value is to organize the way you approach such information and organize your way to your personal success by registering your actions while searching, researching, collecting data and studying the data you have collected with the notes of the monetization facts you found. As, you see through the Ezine Acts Career and Skills Articles you get closer to be a multitask person. That is what our difficult time with its crazy technology requires to coup with the fast tempo of life today. Continuing with the process, taking one of the terms with the high monetization values to repeat the search, research and data collecting steps. Use synonyms with your term. You will need to get this term into 3,5 open questions to choose to the best from the Choose It tool. Take the best term you find with the high values included to focus on building it. You will need tools to do implement the analyzing process on what you have collected and to build all of that on a website you own, wether it is focused career and skills articles, or any other topic you have come through to use online. Background Information on Career and Skills Articles! Remember what I mentioned about your career and skills as information based content? The information industry is rich and through it you could acquire more information about any single specific element of a topic. The elements make the specialities and therefore people focus on each to be specialized in something they love and they have the key values of it. So, you can choose the careers and skills articles you want from this category to enjoy reading and even know how the editing and publishing process goes as you see at the Ezine Acts Publishing and how to write catchy headlines. I used some methods of career and skills to build almost an internet empire, which you can go through from the linked pages. If you go through all those 33 blogs up to this moment and growing, you'll see examples of building career and skills on different online businesses, from careers and skills I acquired offline during education and work experiences in different continents to careers I build online. This is an example to demonstrate that you could do the same. You'll see in addition to those Ezine Acts Blogs, how I am building and managing different international communities and those are still growing. You can view them through the small buttons at the top left and right of the page and at the bottom of the page. These are only examples as I have mentioned to encourage you to build whatever career and skills you want to build and maintain it by an online presence, since all the globe is going the cyberspace way. These resources are indeed about anything that belongs to "it" and to the online world. They have one of the best gatherings on the Internet, which is available only to trusted members. Maybe that is the secret of their success stories and mine too. I have no doubts about "it" because it proofs every time that building your own career and skills is better than relying on others' career and skills. Read other career and skills articles at Career, Career and Education and Education and Career. This is a category for Career and Skills Articles. Read different career and skills articles or write and publish your own using the following strong website building and optimizing tools called "SBI" at the bottom of the page. However, if you could write Career and Skills Articles let us learn from you. Use the Contact Us form and write articles about political careers and skills, or write career and skills articles about movies at iwatchbestv.com. Thanks. The Ezine Acts Inspirations and Motivations (site map 7 A), with its extension into Ezine Acts Motivational Articles (site map 7 B), Ezine Acts Motivational Sites (site map 7 D), Ezine Acts Inspirational Articles (site map 7 D) and the Ezine Acts Inspirational Sites (site map 7 E). The Ezine Acts Articles (site map 9 A), with its extension into Ezine Acts Articles Section (site map 9 B), Ezine Act Articles Index (site map 9 C), Ezine Articles (site map 9 D), Submit Articles (site map 9 E) and Submit Ezine Articles (site map 9 F). Blogging for Pleasure (site map 23), Business Strategies Cat (site map 25), Collective Consulting Services (site map 2 A), with its extension into Online Free Consulting Services (site map 2 B) and Small Business Consultancy (site map 2 C), Digital and Video Products (site map 17), Ezine Acts Associate Programs (site map 26), Ezine Acts Business Financing (site map 16), Ezine Acts Home Business (site map 1 A), with its extension into Home Based Business (site map 1 B) and the Ezine Acts Internet Marketing (site map 20). Share the Ezine Acts Career and Skills Articles with your socials and the other services you see on the small buttons on the page, or pin one of the Ezine Acts Pictures you see on this page, or at the Ezine Acts Art and Culture, Ezine Acts Art Links, Ezine Acts Fine Arts, Ezine Acts Galleries, Ezine Acts Literature, Ezine Acts Photo Gallery, French Paintings and Pictures for Your Website. Thanks. The Solo Build It strong site building tools on the banner below are all combined in one place to help you define the career and skills you have and choose the best of them to build a business better than the Ezine Acts Business, or the Ezine Acts Game Site and to write career and skill articles about what your website is about. 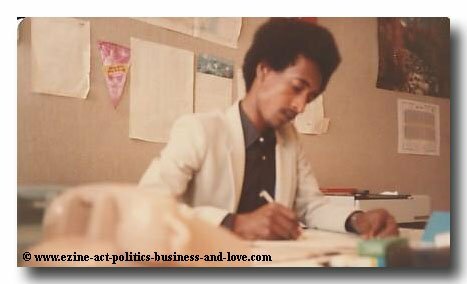 They empower the career and skills articles page and the entire of the Khalid Osmans Network at the Ezine Act, Politics, Business and Love and update it at the Ezine Act Blog.